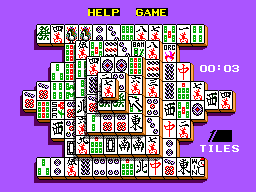 The object of Shanghai is to remove the tiles in matching pairs. The challenge comes in selecting which tiles to remove, for the game can only be completed in 72 consecutive moves! Think you're good enough? Try this. 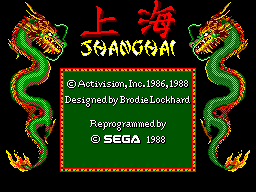 On the title screen, press the "Pause" button on your Master System 10 times. This unlocks the "secret level." Go to "Solitaire," select "Load a Stored Pattern." At the bottom you can now select the stage, which was previously missing. 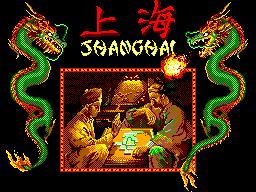 Good luck, it's Shanghai with all the tiles turned backwards!